Joensuu is a city and municipality in North Karelia in the province of Eastern Finland. 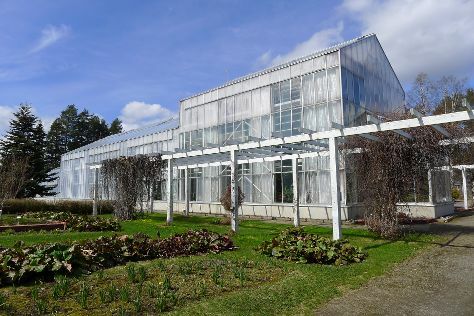 Start off your visit on the 21st (Sun): look for gifts at Kauppakeskus Iso Myy, then make a trip to Sculpture Susi Kosiomatkalla, and then take in nature's colorful creations at Botania - Botanical Garden and Tropical Butterfly Garden. To find traveler tips, ratings, maps, and tourist information, refer to the Joensuu trip itinerary tool . Helsinki to Joensuu is an approximately 4-hour flight. You can also drive. While traveling from Helsinki, expect a bit cooler days and about the same nights in Joensuu, ranging from highs of 6°C to lows of -2°C. Wrap up your sightseeing on the 21st (Sun) early enough to drive to Koli National Park. 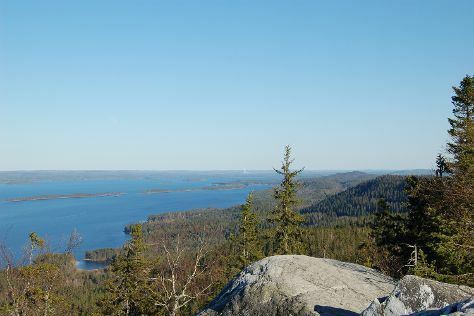 Start off your visit on the 22nd (Mon): contemplate the waterfront views at Pielinen, then trek along Ukko-Koli Hill, and then explore the striking landscape of Kolinuuron kierros Nature Trail. To find ratings, photos, more things to do, and more tourist information, go to the Koli National Park trip website . You can drive from Joensuu to Koli National Park in 1.5 hours. In April in Koli National Park, expect temperatures between 6°C during the day and -2°C at night. Wrap up your sightseeing on the 22nd (Mon) early enough to travel back home.